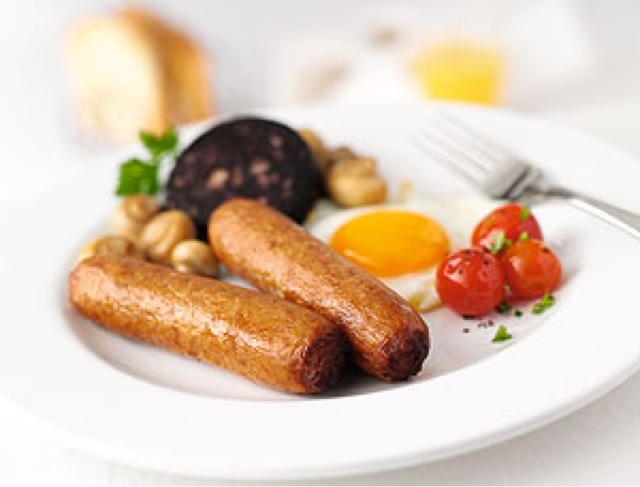 The temptation these days is to go all fancy with your sausages to ensure they're 100% meat, organic and had a good life resulting in 8 GCSEs before going on to fulfil their sausage destiny on your plate but, for me, the perfect sausage in a Fry is a standard catering sausage. Deep Fried. They're dirty and great and oh so tasty. 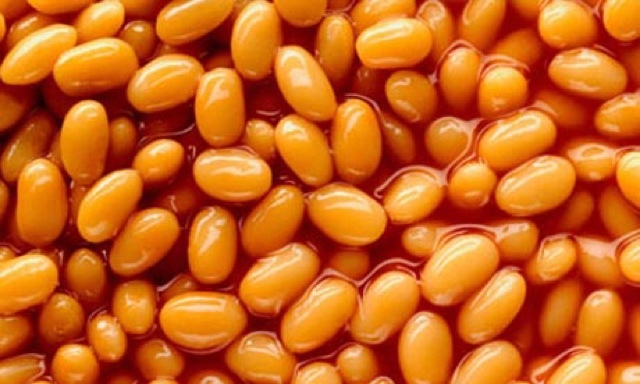 The next most important part of a fry for me is Baked Beans. A controversial addition for some who believe it has no place on any of the regional variations. And yet it corrupts them all in equal frequency. Baked Beans are the thing that brings a fry together. 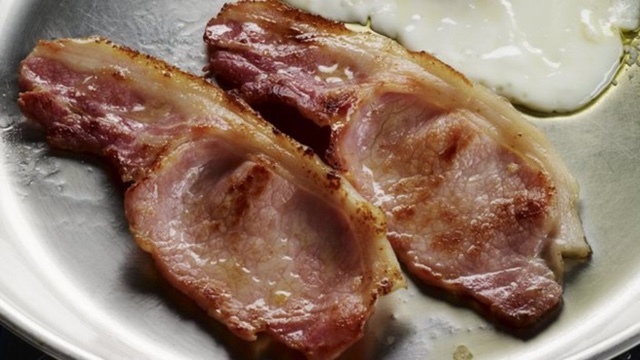 It turns the Fry from a load of separate greasy bits of protein and carbohydrate into a cohesive meal. Beans are necessary. This is where the bulk of my Fry begins to take on Northern Irish leanings. My fry includes all of the fried breads. 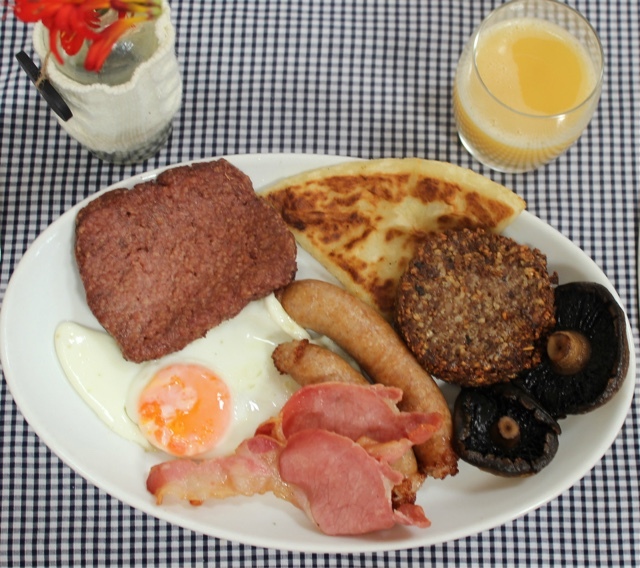 Whether it's the English plain white slice, or the Norn Iron favourites of Potato Bread (fadge), Soda Bread, and Pancakes. My Perfect Fry has them all dipped in butter to a lovely golden crunch. As you can see from the photograph above, it should be about 50% bread to be truly authentic. You may like your eggs poached or scrambled or boiled (weirdo) in your fry. 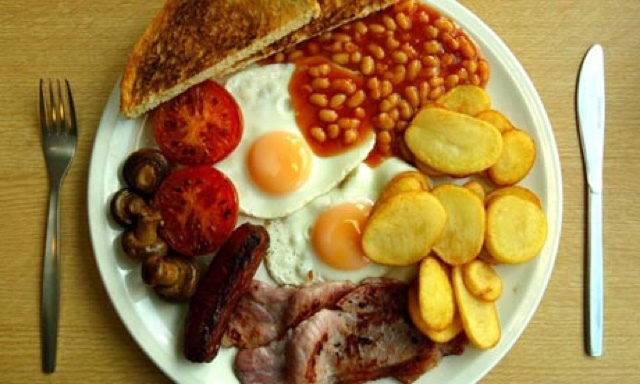 They're all good and I'd happily eat any fry that came with the eggs prepared this way. My fry has fried eggs. 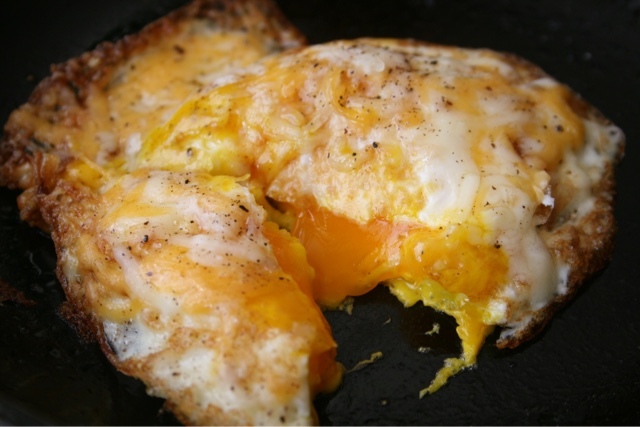 Slightly crispy round the edges with a completely cooked white but still runny in the middle (for dipping purposes) it can be tricky to get the eggs just right but oh so worth it. I absolutely detest getting a fried egg and there's a big gloop of uncooked white on top. I will heave. But if you get it just right? Heaven. 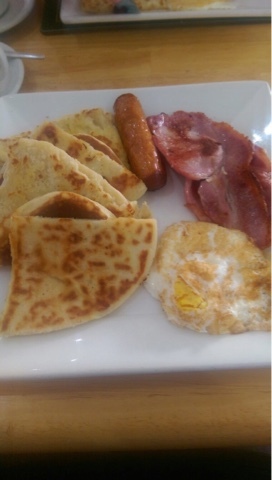 These are the items that, whilst not vital to My Perfect Fry, I would be more than happy to receive on my plate. 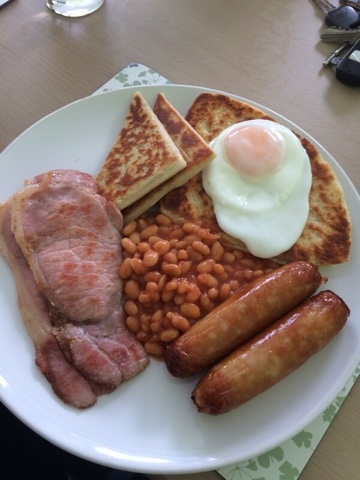 I love a good hash brown and although it is often used an alternative to one of the various bread options I have mentioned above I will happily dip it in my yolk. 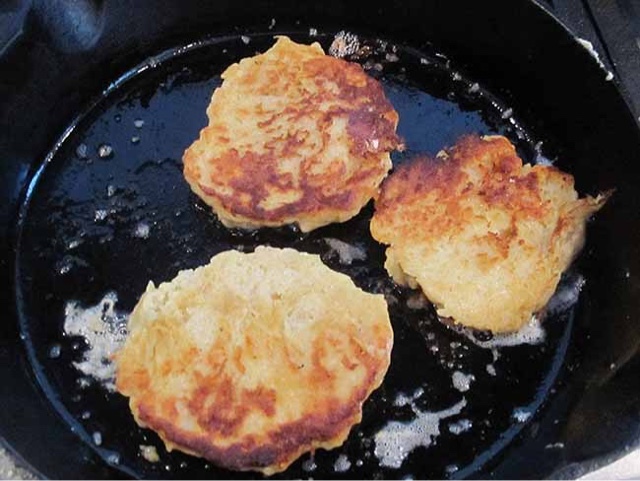 Boxty (the Irish version pictured above) is slightly wetter inside than a hash brown but still a welcome addition. 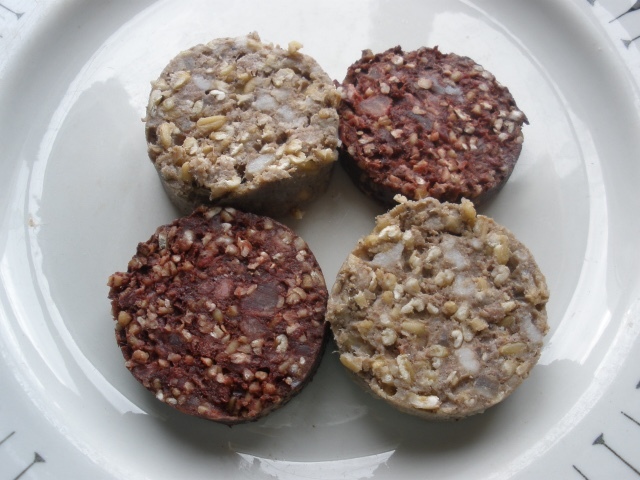 Black Pudding is the infamous bloody sausage made up of very little actual meat and is in fact pork/beef fat, pork blood and various oats and grains. It's currently being touted as a super food so be prepared so it a lot more on your menus and supermarket shelves. 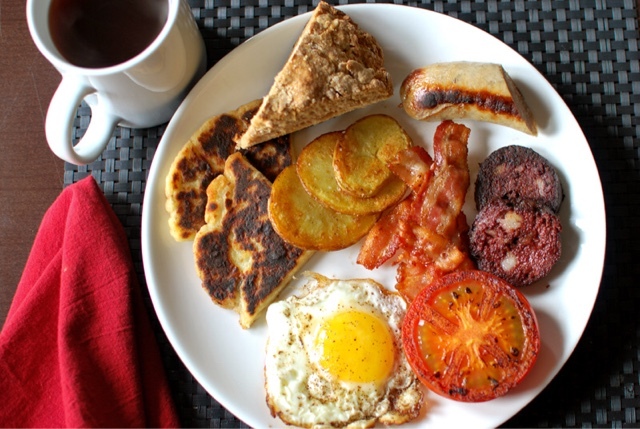 I can't remember ever having actually had white pudding but it contains all the same ingredients as black minus the controversial superfood blood element. Not really sure what the point of it is other than to satisfy squeamish people, maybe? Vegetable roll is a delicious but thoroughly Northern Irish addition to the fry. 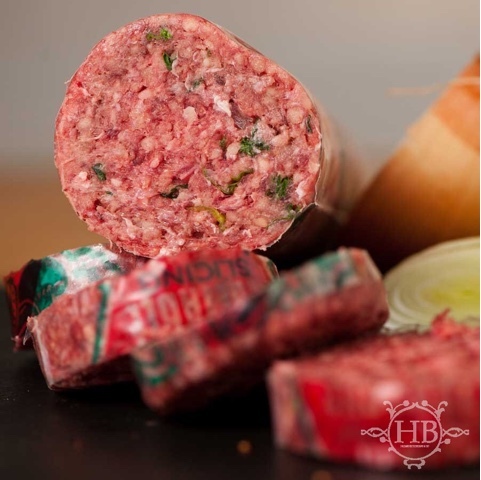 It is a coursely ground, highly spiced, Beef patty with a minuscule amount of vegetables (usually leek, scallion, or something green so it stands out) thrown in and most importantly it is pink, even when fully cooked. I don't know how they keep it pink. I'm not sure I want to know. But it is delicious. The only reason it isn't in my main list is because it is not an ingredient I would purchase when making a fry for just myself. 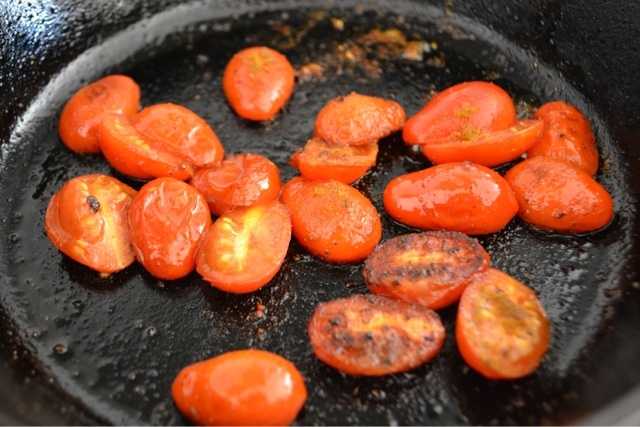 I never actually eat the tomato when I get it in a fry and usually I'll swap it with someone looking to shift their egg. It is a bargaining tool used only to make you feel slightly better about yourself when give your sausage a dip. You've gotta love the Scots. Why go to the hassle of having to squeeze your sausage meat into a pesky skin when you can just square it up and fry it off. 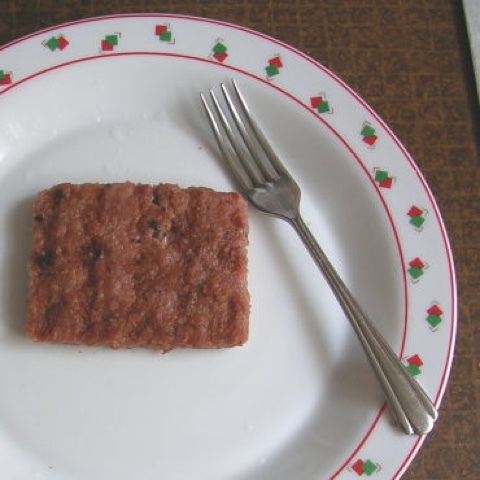 I have to admit I had a wee square sausage in celebration of Burns night this week as they sell them in my local Iceland. There is only one absolute hell no for me and for some of you it may be screamingly obvious what it is. MUSHROOMS. The much loved greasy fried fungi in an absolute crime to food. I despise mushrooms. You will never find one on my plate willingly and if for some reason they do end up there you can be sure I'll be offering them up for trade instead of my tomato. So have I missed anything out? Are you completely offended by choices? If you think I have then absolutely let me know but all I'm saying is that after years working in the food industry and having cooked up hundreds of Frys, I've had actual marriage proposals. They're pretty damn good.